Directed by Spike Jonze. 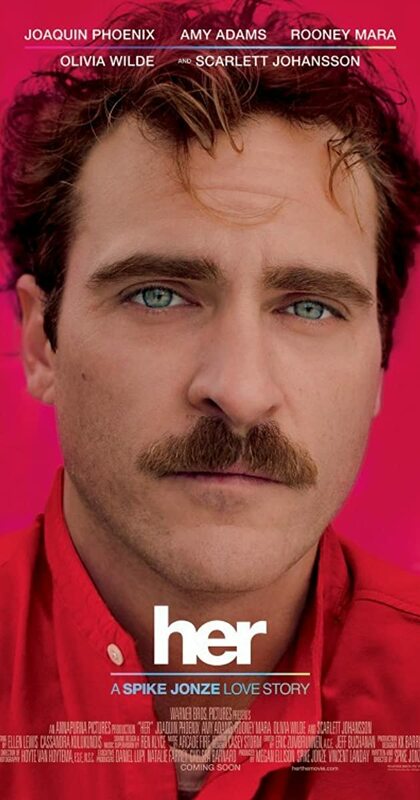 With Joaquin Phoenix, Amy Adams, Scarlett Johansson, Rooney Mara. In a near future, a lonely writer develops an unlikely relationship with an operating system designed to meet his every need.